While I was entertaining some cool peeps at CES 2014, I was also keeping an eye on amazing technology. Aside from the 4K TVs and other wearables, what was cool for folks who travel? CES again brought hundreds of thousands of journalists and exhibitors to the streets of Sunny Las Vegas. What was new this year and what’s special for travelers? Wearables were the big thing this year. First the ones that track your activity and then let’s look at giving you data, rather than collecting it. We have had items such as FitBit that let you track your activity and there were lots of clones this year. However the most interesting ones were socks. That’s right, Smart Socks that track your activity. Going further, let’s talk about smart watches. 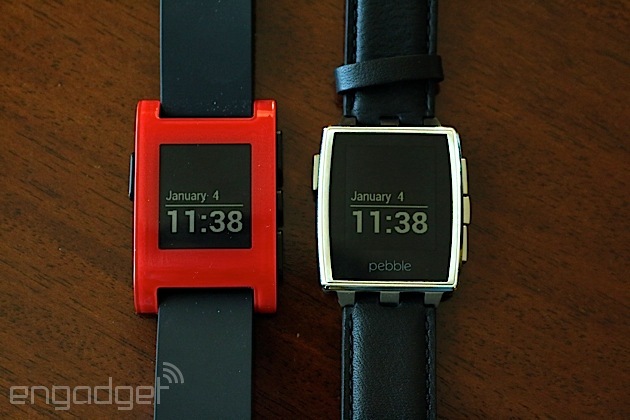 Pebble came to CES and unveiled Pebble Steel, a very attractive version of its popular smartwatch. With pebble, you can see your incoming calls, text messages and emails. But going further, you can see notifications such as traffic, late flight notifications and others that show up on your Android or iPhone. Consider it a heads up display that means you can keep your phone in your bag. Pebble Steel comes in silver and black and will be available for $250 at the end of this month. Extending your iPhone’s storage and battery life at the same time. 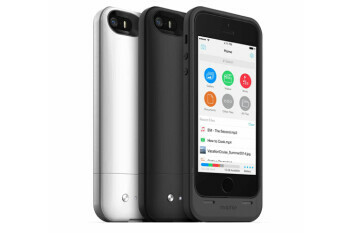 Many are familiar with Mophie – they make stylish cases that have built-in batteries that add juice to your iPhone’s life. Now the Mophie Space Pack goes one step further and adds storage that automatically backs up your iPhone’s videos and images off the camera. The 16GB version retails for $149.95 while the 32GB version will cost you $179.95. They’re available in mid-March. up to 140°f. At this temperature any bedbugs that may have stowed away inside your belongings or the suitcase itself will be killed. It’s TSA approved and ready for purchase on ThermalStrike’s website. Kolibree toothbrush is a bluetooth powered toothbrush that makes you a better brusher. Through a mobile phone app, it tells you if you’ve brushed all sides of your mouth properly. So your kids can’t lie to you if they haven’t brushed their teeth! The Kolibree goes on sale this summer for $99-$199 depending on the features.